4Humanities is a platform for people from different parts of society and the world to give voice to the enduring and contemporary importance of the humanities. 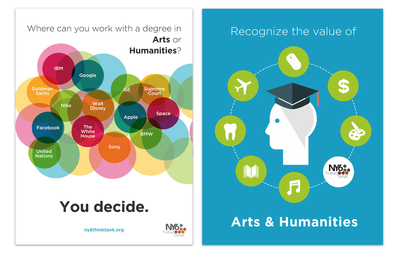 Why study and creative expression in such areas as literature, history, languages, philosophy, classics, art history, cultural studies, and others (see “What Are the Humanities?”) so valuable to individuals and societies? The voices gathered here say why. * 4Humanities seeks out both original and reposted statements about the humanities from people in business, the sciences, entertainment, universities, high schools, and other sectors. We also report on significant developments and initiatives related to the humanities. 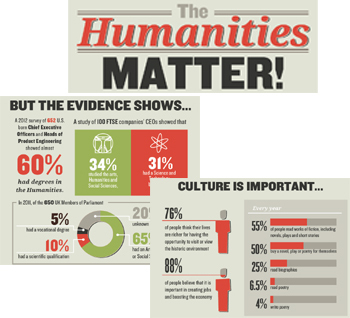 For those wishing to consult resources in framing their own statement for the humanities, 4Humanities offers a “Guide to Issues in Humanities Advocacy” and its “The Humanities Matter!” infographic. In the spring of 2018, a group of Union College students took my class called “Millennials and Social Change”. They were in for a surprise. They registered for a course about the rise of the everyday changemaker. It was a class that focused on the current student generation, the Millennials (b. 1980-2000), and the changes they wished to see in their lives and in their communities. Ten weeks later, the students in this class had become changemakers themselves. They had risen to the challenge with honesty, passion, and ambition and had written personal stories that inspire and give hope to others. Their collective calls for change became this book, Generation Now: Millennials Call for Social Change. Calling all students and young professionals from all communities, backgrounds and interests to share experiences and opinions on what they would want their peers to know now about why, how and where the arts and humanities can play a foundational and transformative role in their educations and career opportunities.